A few weeks ago, I flew to my hometown of Vancouver, BC and worked with the Later.com crew to create *brand new* (and free!) Instagram training for you. If you're not familiar with Later, it's one of the O.G. scheduling apps for Instagram. Today, there are over a MILLION Later users who use the tool to plan their feed and save a ton of time. If you're using Instagram to grow your business, you'll know that starting a new Instagram account in 2018 is a LOT harder than it used to be! I've seen the change... I've been growing accounts for business for the past 5 years. So when Later asked me to collab with them to help business owners grow successful accounts *starting from scratch*... I literally booked a plane ticket out to Vancouver that day. And when I met "Taylor from Later" in person – I legit felt like I was meeting a celebrity. I've been receiving her emails for years! 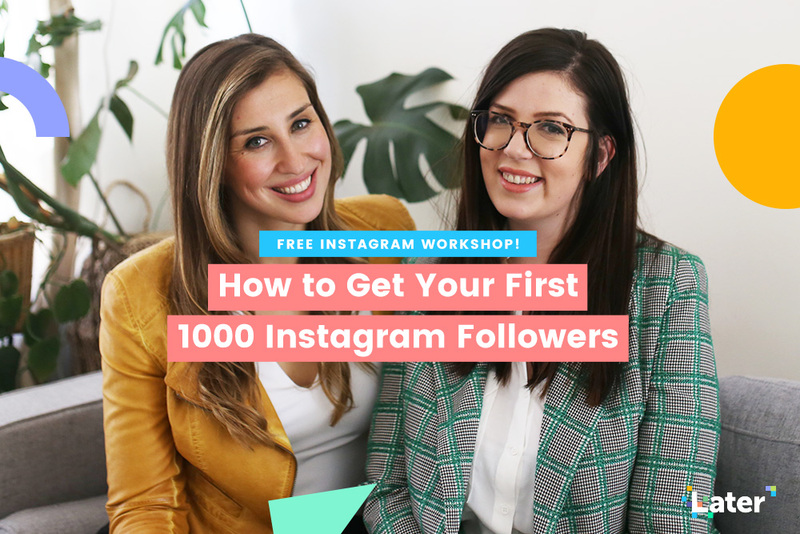 If you're using Instagram to grow your business and you want to reach your first 1K... this is the workshop for you. You can totally watch all of this for FREE!